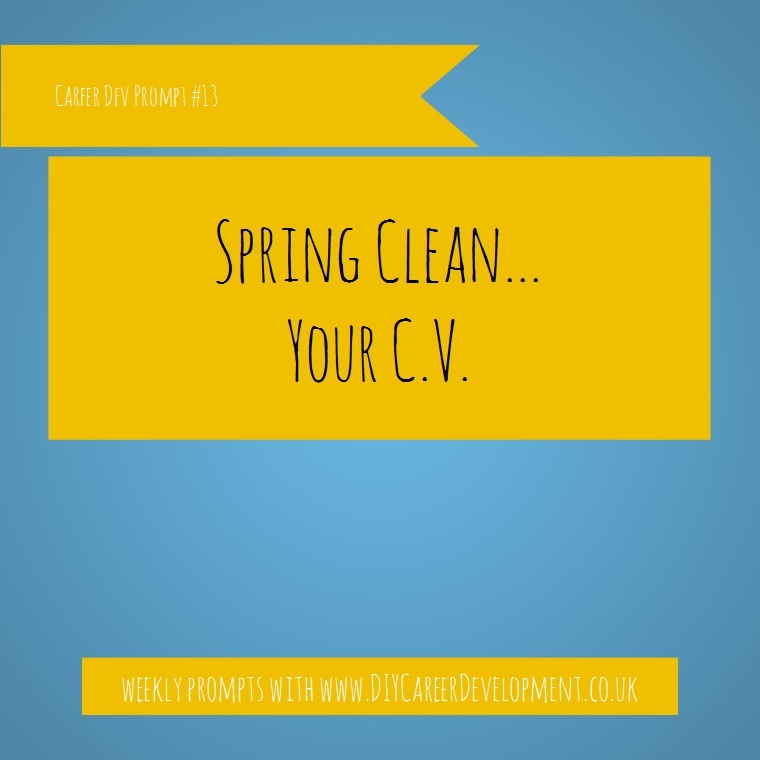 Career Dev Prompt #13: Spring Clean… your C.V. When did you last update your C.V? I highly recommend that you do – even if you have not changed jobs since you last updated you C.V. and even if you are not looking for a new job. Regular reviews can help you keep career-minded and help find gaps in your skills and career development. PROMPT: Spring Clean your C.V. This entry was posted in Career Development, Career Development Prompt. Bookmark the permalink.